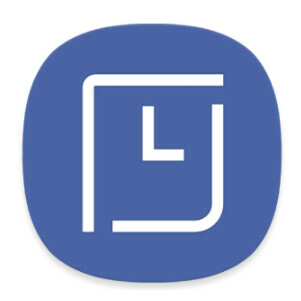 With the hopes of delivering new updates to the numerous Galaxy users faster, Samsung just released its Always On Display app on the Google Play Store. This way, any new features, hotfixes, and bug fixes will arrive faster and will not require a dedicated system update from Samsung. However, don't think that since the app's up on the Play Store it will be available with any Android phone out there – no. It will only work on the Galaxy S8 and S8+. Sadly, Galaxy S7 and S7 edge users can't download the app - they are left with Samsung's mercy to update their version of the Always On Display app. The update process for the ex-flagships will most likely be slower than the one Galaxy S8/S8+ users will experience. Such decoupling of core apps to the Play Store has been a regular practice of many an Android manufacturer and even Google itself. Samsung itself has a large trove of other stock apps on the Play Store - Samsung Health, Email, Samsung Gear, and many others are available on the Play Store. It's worth mentioning that Samsung's own Internet Browser app is also available on the Play Store to all Android users. So that thy can update the app independently from the whole phones software. Easier update process. This article literally explains the point of this, in the first 2 sentences. You can write, but cant read? How does that work? Not everyone uses samsungs galaxy apps app. This would make it so those people wouldnt have to deal with that. Win win for samsung owners. In this case, more specifically, gs8 owners. To have access to the AOD settings, without going into settings. Unlike some phones we know, that put everything in settings, making he a complete unorganized mess. You should actually learn to red the article. Maybe try not being a hater with blinders, and be a reader to comprehend and understand. You went to school, right? What did he say for you to get all this defensive? And you're wrong, since Nougat on the Note 7 and S7, you can access the AOD settings menu from the quick toggles, and this update doesn't change that. It only make it easier to update it from the Play Store, since not everyone knows that you can do that through the Galaxy Apps Store. The decoupling had already been in effect through Samsung's own app services. The other day about 10 core apps on my S8 were automatically updated, apps like the Gallery and browser included.